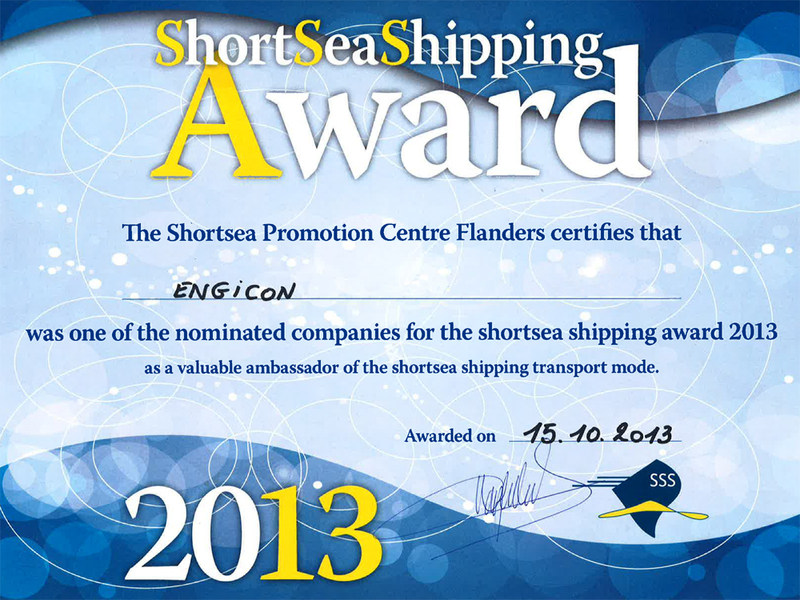 The organization ShortSea Shipping Flanders awarded her yearly prizes in Tuesday, October 15th. This year Geldof was nominated for the ShortSea Shipping Award 2013 for companies thanks to their different transports including shortsea shipping. Seven companies were nominated for this award. Heavy competiton so it seemed aftwerwards with competitors such as ArcelorMittal Logistics Belgium, Jan De Nul and Eternit.